Little Classics news: Who Is Your Motorcycling Icon? 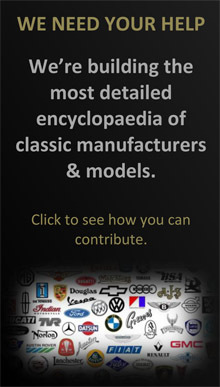 Little Classics news: Help Beaulieu Break A Record! Little Classics news: Goodbye Mr Bond… Hello Speed! 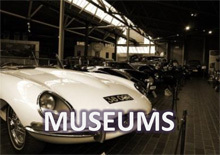 Little Classics news: Stretched E-Type Created… With Trailer! Little Classics news: New World Record Attempt Underway: Vintage Adventurer Leaves Staten Island for L.A.
Little Classics news: Regent Street Motor Show Gets Even Larger! 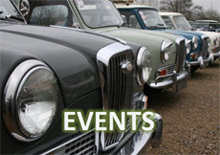 Little Classics news: Book Your Lancaster Insurance Classic Motor Show Tickets and Win a Classic Car! Little Classics Features: Are You Ready for Drive it Day 2015? Little Classics news: What Does The Future Hold For Historic Mallory Park? Little Classics Pointless Opinion: Will we lose our skills? Little Classics Pointless Opinions: You’ve gotta have soul!